Major spoilers for The Flash episode “Out of Time” below, so speed away if you don’t want to ruin it for yourself. Up until its slambang final few minutes, “Out of Time” was just your average episode of The Flash, filled with awkward love-rhombus moments between Barry/Linda and Iris/Eddie, and a villain (the Weather Wizard) with larger-than-life threats against Central City. But as the credits were just over the horizon, everything suddenly got ridiculously amazing, as we saw a major character’s death, which was then taken back by Barry somewhat accidentally traveling back in time as he tried to stop a massive unnatural disaster. Oh, and Dr. Wells also revealed himself as Eobard “The Reverse Flash” Thawne, but that was somehow the least exciting part in the moment. 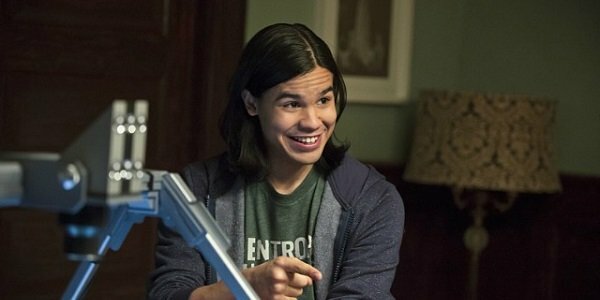 Wells made his big announcement to Cisco as the young tech genius was trying to secretly figure out how much of a bad guy Wells really is. Surprise! It worked better once Wells was actually there, as he followed his big “speed mirage (if you will)” display by murdering Cisco in cold blood. To make matters worse, he doesn’t seem to be particularly happy to do it, as he’s grown quite fond of Cisco, telling him as much as he pops his speedy hand through Cisco’s chest. R.I.P. Cisco. We hardly knew you. But wait! Before anyone even has time to throw on funeral garb, Barry goes and unwittingly saves the day…by going back in time to a different day. The Weather Wizard has Joe trapped and has manifested a massive tsunami that’s headed straight for Central City, and the only way that Barry can stop it is by running ridiculously fast back and forth along the coast line in order to…whatever the hell Caitlan said. 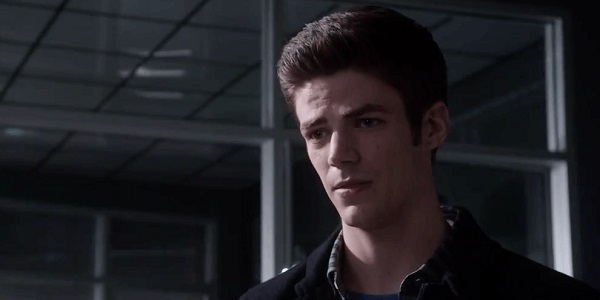 That explanation doesn’t even matter in the end, as Barry goes so fast he zips back in time to a point earlier in the episode when we watched two versions of The Flash running alongside one another. That’s when Wells first offered his speed mirage explanation, but we now know that it’s because Barry is capable of breaking the laws of physics. The ramifications of this time travel are pretty major. Cisco is alive again, and once more has no idea that Wells is actually a member of the Thawne family, and only the audience knows that Wells won’t think twice about killing him. Barry and Iris never shared that pre-time-jaunting kiss that would presumably make that other Thawne guy go ballistic if he knew about it. Iris won't know that Barry and the Flash are one and the same. And now Barry is going to end up telling Wells about what he did, which will undoubtedly open up another multi-headed can of worms for these characters, with Wells probably using Barry's new power to his advantage. At least Joe probably won’t have to live with a broken leg that he doesn’t even know he had. Those are the best kinds of broken legs. We can’t wait to see what happens on next week’s episode, “Rogue Time,” which will air on Tuesday, March 24. Unless it somehow aired last week and we’ve already seen it. Time travel is hard.